The Center on Education and Work will hold its 16th Annual Summer Institute on July 16-17 at the University of Wisconsin-Madison on the topic Interviewing Techniques. Learn how to structure interviews to focus on strengths and virtues which enable individuals to increase their self-esteem and help their communities to thrive. Lectures, discussion, and experiential exercises will be used to teach these interviewing techniques. Explore how you can you assist clients whose goals are related to changing behaviors. Motivational Interviewing (MI) is a client-centered, directed interviewing method that was originally developed for substance abuse disorders. This approach has since been used to address a wide range of problems including those related to career planning, career decision-making, and/or work-related problems that interfere with one’s career or work performance. During this workshop, participants will learn about Motivational Interviewing and how it can be incorporated into a helping relationship. These workshops are designed for Career Counselors, Career Development Facilitators and Instructors, Educators, Career Center Staff, advisors… virtually anyone involved in career development or career and workforce readiness. Here’s your opportunity to network with colleagues and receive quality professional development training. Credit in the form of a Certificate of Attendance will be given which can be used to verify hours. CEUs ($15 fee payable on site) and NBCC credit are also available. Cost is $149 per workshop. Looking for some professional development opportunities this summer? 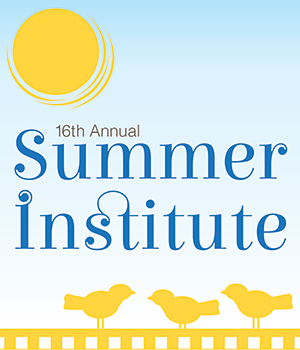 The Center on Education and Work will hold its 16th Annual Summer Institute on July 16-17 at the University of Wisconsin-Madison on the topic Interviewing Techniques.